REMEDI is a collaborative community of pharmacists, nurses, researchers, vendors and others working to improve patient safety and health care quality through the development and exchange of infusion pump medication administration knowledge and best practices. The REMEDI science gateway currently includes a vendor-neutral infusion pump analytics and reporting package, allowing hospitals to perform self-analysis and comparison of Dose Error Reduction Software (DERS) programming alerts, smart pump compliance, and drug limit libraries. REMEDI collects data that has been captured and stored on medical devices such as smart infusion pumps. It enables users to conduct complex analyses via a point- and-click interface. These analyses can be conducted on both specific hospitals and groups of hospitals to enable comparative examinations and benchmarking. A fundamental tenet of REMEDI operations is that it is driven by community members. Through regular meetings, representatives of the member hospitals share their knowledge in a collaborative environment, fostering knowledge development to advance medication administration practice and improve patient safety. Membership in REMEDI includes hospitals of many types (e.g., critical access hospitals, university teaching/research hospitals, safety net hospitals, etc.). A complete list of member hospitals and healthcare systems can be found on the RCHE website. 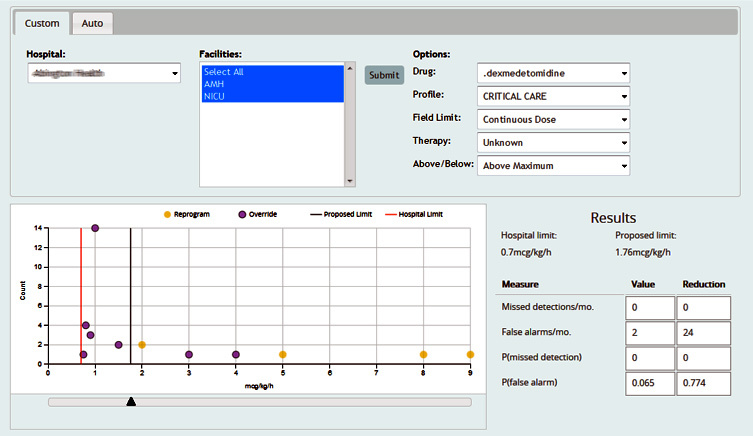 Drug limit library database and analysis function is REMEDI Central's core feature. 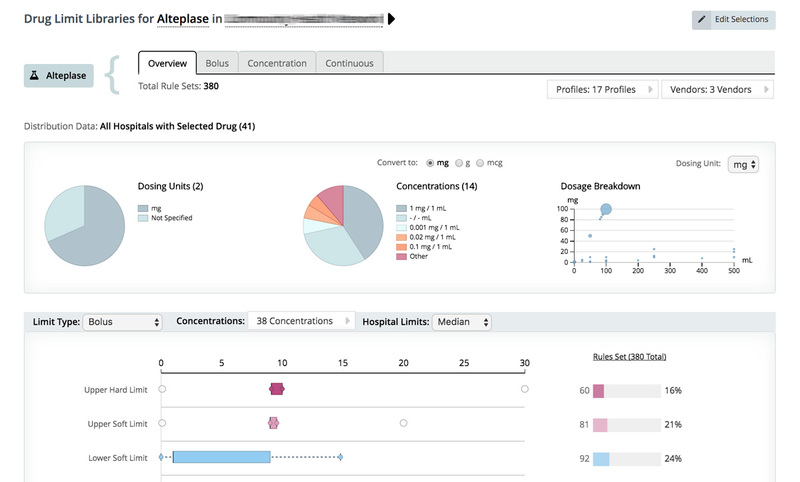 Clinicians can generate reports to look at detailed drug library information by selecting the drug, the hospital(s) to compare, and the profile area. The report shows hard/soft limits, durations, concentrations, and more. Lists of standard drug names and profiles are used to make comparisons across hospitals. The Compliance application focuses on the use of smart pump safety features collectively known as dose error reduction systems (DERS) . 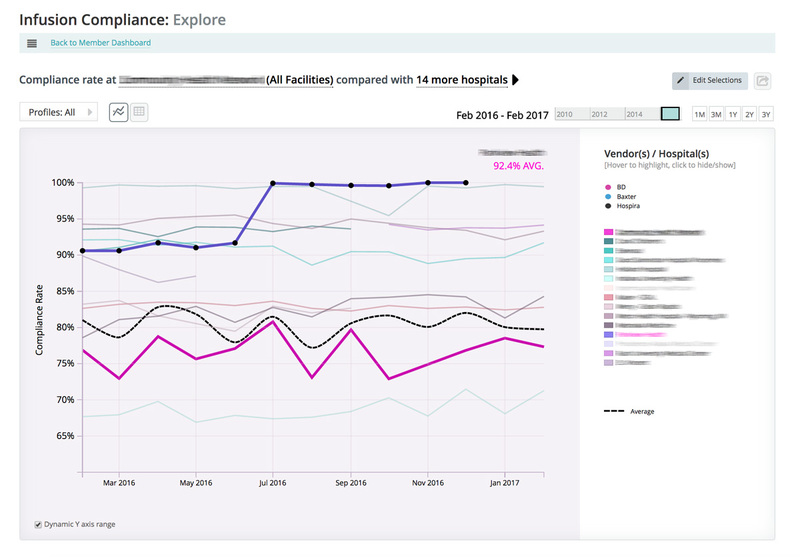 Members can generate reports to analyze DERS usage in their own facilities and care areas or compare themselves with other hospital systems around the country, regardless of pump vendor. Alerts app for the REMEDI platform provides historical and up-to-the-day/up-to-the-hour visibility into smart pump alert events. Alert events occur when programmed smart pump variables such as drug limits, concentrations, etc., are outside of the bounds of programmed values. The Alerts app helps clinicians analyze how alert volume changed each month or by time of day, which drugs/fluids generated most alerts and how clinicians responded to alerts. 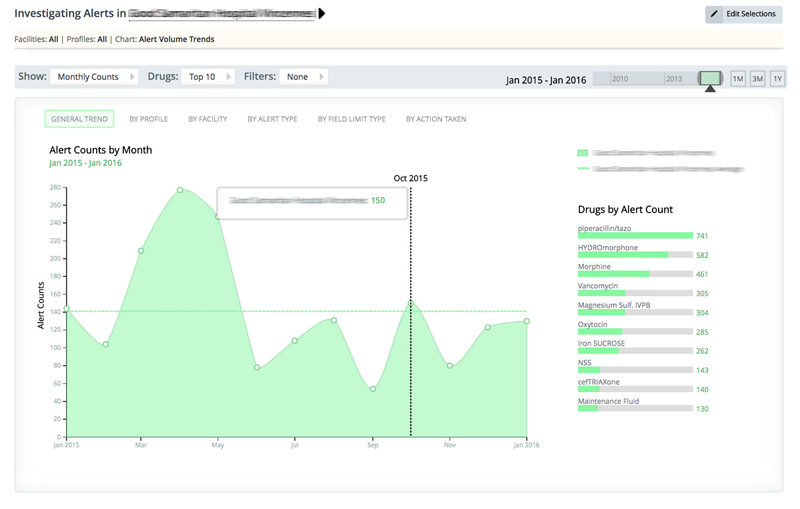 Users can look at general trends, or drill into in-depth information on alerts by type, care profile, facility etc. They can enable comparison to population statistical average for different alert characteristics. 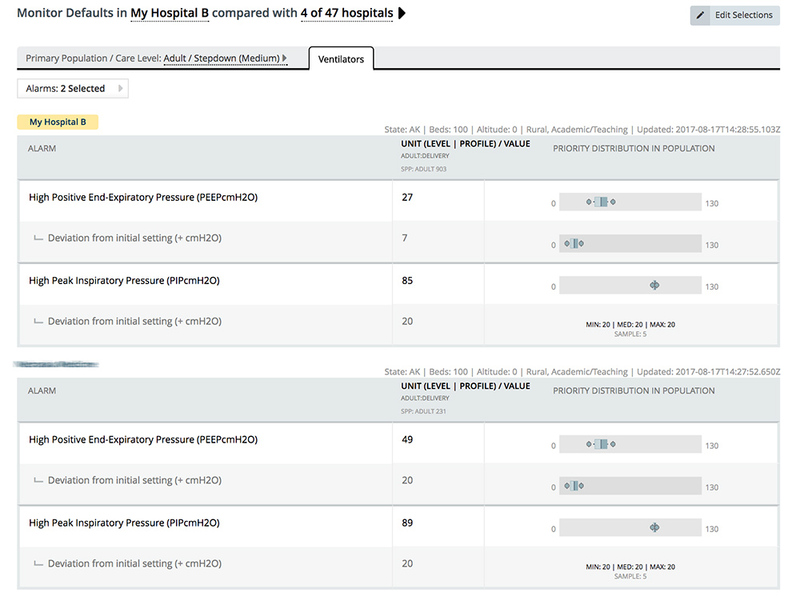 Limit Locator application is a decision support tool aimed at reducing infusion pump alerts. The current practice to reduce alerts is to review the top few drug/profile/field-limit combinations that alarm the most frequently and potentially adjust their thresholds to decrease the number of alerts. The Limit Locator assists with and improves this process by evaluating the effect of threshold adjustments on all combinations, regardless of alarm frequency, and providing an analysis of performance based on the number of overrides and reprograms. Where do we start when monitoring patients? The Physiological Monitor Defaults application helps clinicians answer this question by providing benchmarking tools to see where other hospitals initially set their alarm thresholds for heart rate (HR), peripheral capillary oxygen saturation (SpO2), systolic and diastolic blood pressures (BP), end-tidal carbon dioxide (EtCO2), and other alarm conditions. 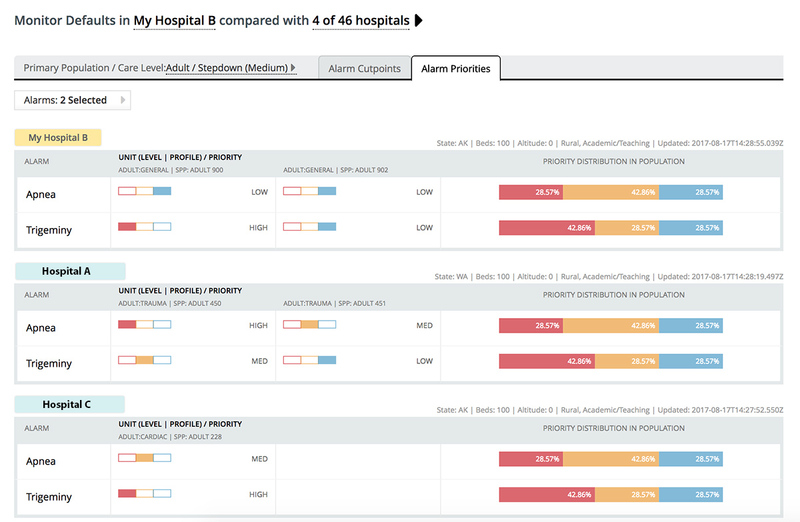 Additionally, clinicians can use the application to compare detection priorities for numerous alarm options for apnea, asystole, brady, vfib/vtach, PVC, trigeminy and many more. Currently, community members pay a fee for access to REMEDI. Members are responsible for their costs of participation as a community member. This has involved travel expenses to meetings and time for virtual interaction via a web interface. RCHE believes that these expenses are more than offset by access to REMEDI robust, user-friendly analytics.